With the 2019 football season fast approaching, registrations are once again available for the AFL Queensland Level 2 Coaching Course. Once again, the course will take place over just one day for both senior and youth ranks in a hybrid coaching masterclass. Three dates have been released for the coaching courses across February and March, commencing on the Gold Coast on February 23. 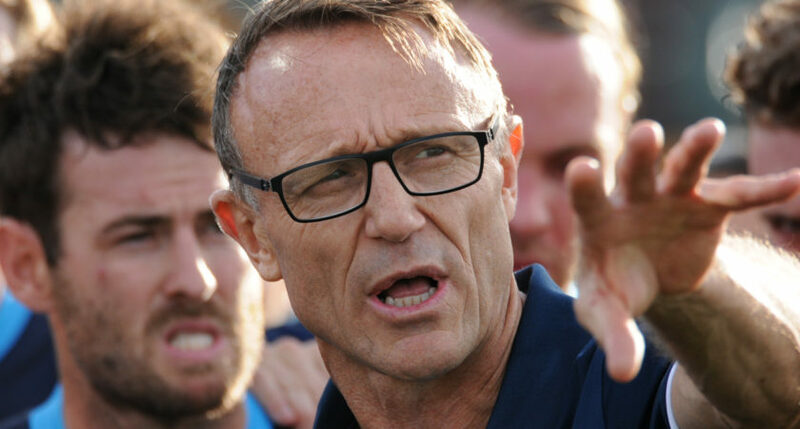 The Gold Coast coaching course will take place at the Gold Coast Suns Training and Administration Building, Carrara, and like all courses, will incorporate more interactive online modules to offer coaches a more practical experience relevant to their coaching rank. The course will also include input and coaching by the Gold Coast SUNS coaching staff. Mackay will be the second destination for coaching in their regions and will also include input from members of the SUNS’ coaching staff. Taking place on Saturday, March 2, at Great Barrier Reef Arena, the course coincides with the JLT Series fixture between the Gold Coast SUNS and the Western Bulldogs. Cazaly Stadium in Cairns will be the final venue for the level 2 coaching course and will cater for coaches in North Queensland to develop their portfolio. The Cairns Level 2 Course will take play on March 9. Enrolment in the Level 2 Coaching Course has been reduced to just $250 or just $110 for coaches simply wanting to update their level 2 coaching accreditation. AFL Queensland Coaching & Volunteer Development Coordinator Luke Carroll said the alterations to the course this season are a welcomed inclusion to the program and looked forward to seeing the coaches coming through. Please note that youth coaches ages (14-17) and senior (18) must have been coaching within the football system for a minimum of two years to apply. In line with the AFL Queensland coaching pathway, coaches at all stages of the QAFL, QAFLW and NEAFL level are expected to hold minimum level 2 coaching accreditation. AFL Queensland are also exploring the opportunity to run a level 2 coaching course in Cairns in late March 2019 for coaches looking to develop to the next level in northern Queensland. To register for the level 2 coaching course, click here.